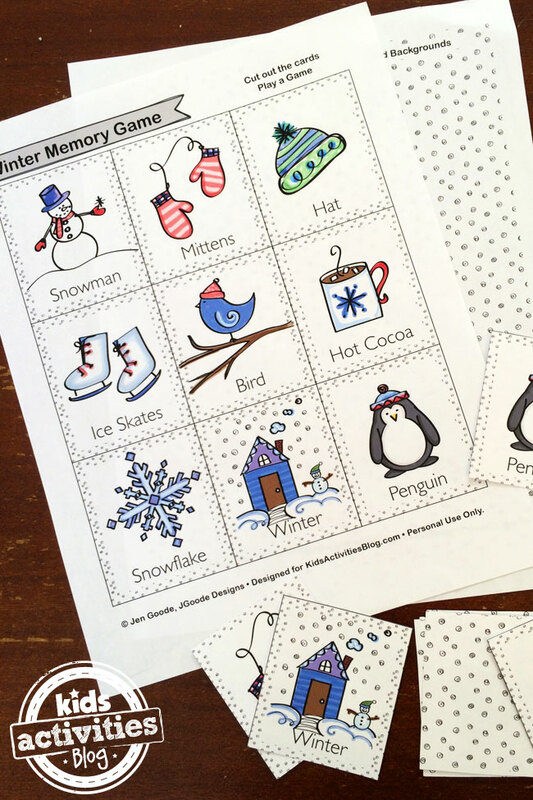 Stay warm inside and play a winter memory game today with this free kids printable. Memory Games are great for kids of all ages because reading is not required so its a perfect activity for the entire family to play together. This free printable game set comes with 9 printable cards and a cute dot background so you can make your own printable card game set. 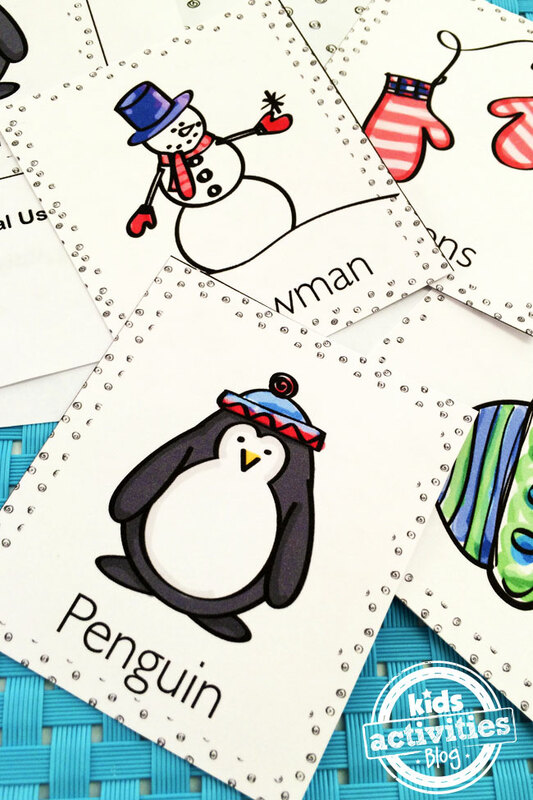 A penguin, mittens and even a snowflake… there are 9 cute winter images in this memory game set. 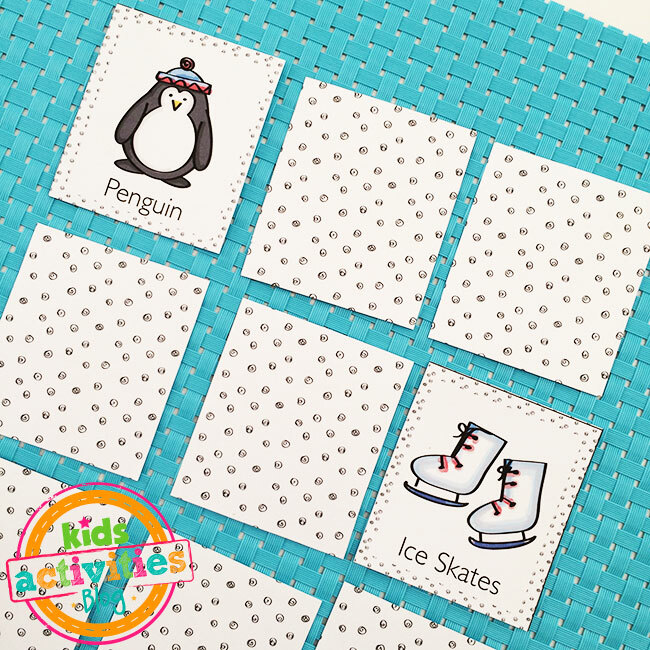 Print out two sheets and you’ll have a full memory game you can play with your child. To make the cards – print the background page from the printable. Then turn the paper over and print the card images on the same piece of paper. Use cardstock for a thicker card. To Play – Lay all the cards face down on the table. Each player takes a turn choosing two cards. Turn the cards over to see what the images are. If the images match, the player gets to keep the cards and take another turn. If the cards do not match, turn the cards face down in their original places and the next player takes a turn. You can also use these winter playing cards for a game of Go Fish. Make 2 to 4 sets of cards to play. Have some indoor fun today making and playing the Winter Memory Game.